The Hasidic Jewish man riding a Lime electric scooter down the street. 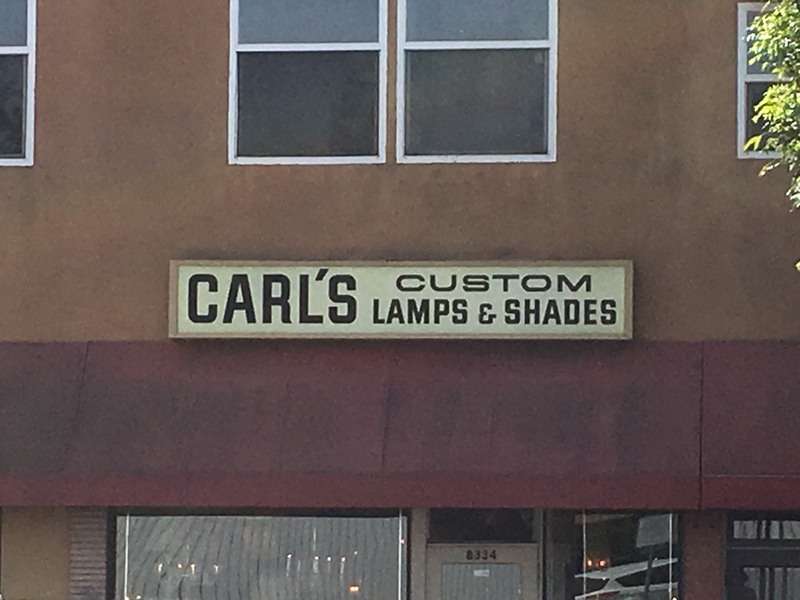 The awesome sign for Carl’s Custom Lamps & Shades in LA. The bag of trash someone threw on the slanted roof of Denny’s on Sunset Boulevard.